It's the oldest trick in the book, dating back to Roman times; creating the enemies you need. 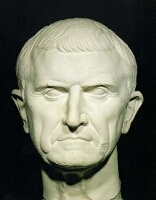 In 70 BC, an ambitious minor politician and extremely wealthy man, Marcus Licinius Crassus, wanted to rule Rome. Just to give you an idea of what sort of man Crassus really was, he is credited with invention of the fire brigade. But in Crassus' version, his fire-fighting slaves would race to the scene of a burning building whereupon Crassus would offer to buy it on the spot for a tiny fraction of its worth. If the owner sold, Crassus' slaves would put out the fire. If the owner refused to sell, Crassus allowed the building to burn to the ground. By means of this device, Crassus eventually came to be the largest single private land holder in Rome, and used some of his wealth to help back Julius Caesar against Cicero. In 70 BC Rome was still a Republic, which placed very strict limits on what Rulers could do, and more importantly NOT do. But Crassus had no intentions of enduring such limits to his personal power, and contrived a plan. Crassus seized upon the slave revolt led by Spartacus in order to strike terror into the hearts of Rome, whose garrison Spartacus had already defeated in battle. But Spartacus had no intention of marching on Rome itself, a move he knew to be suicidal. Spartacus and his band wanted nothing to do with the Roman empire and had planned from the start merely to loot enough money from their former owners in the Italian countryside to hire a mercenary fleet in which to sail to freedom. Sailing away was the last thing Crassus wanted Spartacus to do. He needed a convenient enemy with which to terrorize Rome itself for his personal political gain. So Crassus bribed the mercenary fleet to sail without Spartacus, then positioned two Roman legions in such a way that Spartacus had no choice but to march on Rome. Terrified of the impending arrival of the much-feared army of gladiators, Rome declared Crassus Praetor. Crassus then crushed Spartacus' army and even though Pompey took the credit, Crassus was elected Consul of Rome the following year. With this maneuver, the Romans surrendered their Republican form of government. Soon would follow the first Triumvirate, consisting of Crassus, Pompeii, and Julius Caesar, followed by the reign of the god-like Emperors of Rome. The Romans were hoaxed into surrendering their Republic, and accepting the rule of Emperors. 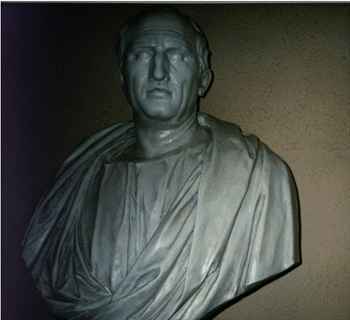 Julius Caesar's political opponent, Cicero, for all his literary accomplishments, played the same games in his campaign against Julius Caesar, claiming that Rome was falling victim to an internal "vast right wing" conspiracy in which any expressed desire for legislative limits on government was treated as suspicious behavior. Cicero, in order to demonstrate to the Romans just how unsafe Rome has become hired thugs to cause as much disturbance as possible, and campaigned on a promise to end the internal strife if elected and granted extraordinary powers. What Cicero only dreamed of, Adolph Hitler succeeded in doing. 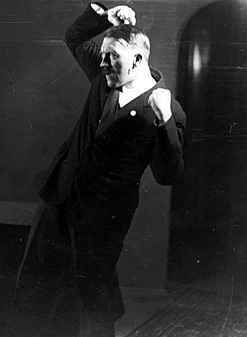 Elected Chancellor of Germany, Hitler, like Crassus, had no intention of living with the strict limits to his power imposed by German law. Unlike Cicero, Hitler's thugs were easy to recognize; they all wore the same brown shirts. But their actions were no different than those of their Roman predecessors. They staged beatings, set fires, caused as much trouble as they could, while Hitler made speeches promising that he could end the crime wave of subversives and terrorism if he was granted extraordinary powers. Then the Reichstag burned down; a staged terrorist attack. The state-sponsored schools will never tell you this, but governments routinely rely on hoaxes to sell their agendas to an otherwise reluctant public. The Romans accepted the Emperors and the Germans accepted Hitler not because they wanted to, but because the carefully crafted illusions of threat appeared to leave no other choice. Our government too uses hoaxes to create the illusion that We The People have no choice but the direction the government wishes us to go in. In 1898, Joseph Pulitzer's New York World and William Randolph Hearst's New York Journal were arguing for American intervention in Cuba. Hearst is reported to have dispatched a photographer to Cuba to photograph the coming war with Spain. When the photographer asked just what war that might be, Hearst is reported to have replied, "You take the photographs, and I will provide the war". Hearst was true to his word, as his newspaper published stories of great atrocities being committed against the Cuban people, most of which turned out to be complete fabrications. On the night of February 15, 1898, the USS Maine, lying in Havana harbor in a show of US resolve to protect her interests, exploded violently. Captain Sigsbee, the commander of the Maine, urged that no assumptions of enemy attack be made until there was a full investigation of the cause of the explosion. For this, Captain Sigsbee was excoriated in the press for "refusing to see the obvious". The Atlantic Monthly declared flat out that to suppose the explosion to be anything other than a deliberate act by Spain was "completely at defiance of the laws of probability". Under the slogan "Remember the Maine", Americans went to war with Spain, eventually winning the Philippines (and annexing Hawaii along the way). In 1975, an investigation led by Admiral Hyman Rickover examined the data recovered from a 1911 examination of the wreck and concluded that there had been no evidence of an external explosion. The most likely cause of the sinking was a coal dust explosion in a coal bunker imprudently located next to the ship's magazines. Captain Sigsbee's caution had been well founded. 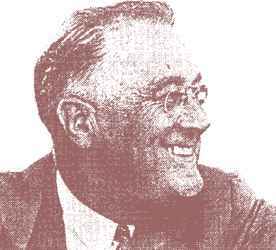 President Franklin Delano Roosevelt needed a war. He needed the fever of a major war to mask the symptoms of a still deathly ill economy struggling back from the Great Depression (and mutating towards Socialism at the same time). Roosevelt wanted a war with Germany to stop Hitler, but despite several provocations in the Atlantic, the American people, still struggling with that troublesome economy, were opposed to any wars. Roosevelt violated neutrality with lend lease, and even ordered the sinking of several German ships in the Atlantic, but Hitler refused to be provoked. Roosevelt needed an enemy, and if America would not willingly attack that enemy, then one would have to be maneuvered into attacking America, much as Marcus Licinius Crassus has maneuvered Spartacus into attacking Rome. The way open to war was created when Japan signed the tripartite agreement with Italy and Germany, with all parties pledging mutual defense to each other. Whereas Hitler would never declare war on the United States no matter the provocation, the means to force Japan to do so were readily at hand. The first step was to place oil and steel embargoes on Japan, using Japan's wars on the Asian mainland as a reason. This forced Japan to consider seizing the oil and mineral rich regions in Indonesia. With the European powers militarily exhausted by the war in Europe, the United States was the only power in the Pacific able to stop Japan from invading the Dutch East Indies, and by moving the Pacific fleet from San Diego to Pearl Harbor, Hawaii, Roosevelt made a pre-emptive strike on that fleet the mandatory first step in any Japanese plan to extend its empire into the "southern resource area". Roosevelt boxed in Japan just as completely as Crassus had boxed in Spartacus. Japan needed oil. They had to invade Indonesia to get it, and to do that they first had to remove the threat of the American fleet at Pearl Harbor. There never really was any other course open to them. To enrage the American people as much as possible, Roosevelt needed the first overt attack by Japan to be as bloody as possible, appearing as a sneak attack much as the Japanese had done to the Russians. 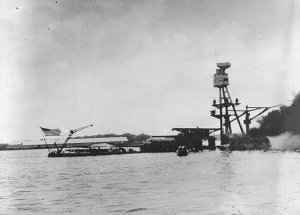 From that moment up until the attack on Pearl Harbor itself, Roosevelt and his associates made sure that the commanders in Hawaii, General Short and Admiral Kimmel, were kept in the dark as much as possible about the location of the Japanese fleet and its intentions, then later scapegoated for the attack. (Congress recently exonerated both Short and Kimmel, posthumously restoring them to their former ranks). But as the Army board had concluded at the time, and subsequent de-classified documents confirmed, Washington DC knew the attack was coming, knew exactly where the Japanese fleet was, and knew where it was headed. On November 29th, Secretary of State Hull showed United Press reporter Joe Leib a message with the time and place of the attack, and the New York Times in its special 12/8/41 Pearl Harbor edition, on page 13, reported that the time and place of the attack had been known in advance! President Lyndon Johnson wanted a war in Vietnam. He wanted it to help his friends who owned defense companies to do a little business. He needed it to get the Pentagon and CIA to quit trying to invade Cuba. And most of all, he needed a provocation to convince the American people that there was really "no other choice". On August 5, 1964, newspapers across America reported "renewed attacks" against American destroyers operating in Vietnamese waters, specifically the Gulf of Tonkin. The official story was that North Vietnamese torpedo boats launched an "unprovoked attack" on the USS Maddox while it was on "routine patrol". The truth is that USS Maddox was involved in aggressive intelligence gathering in coordination with actual attacks by South Vietnam and the Laotian Air Force against targets in North Vietnam. The truth is also that there was no attack by torpedo boats against the USS Maddox. Captain John J. Herrick, the task force commander in the Gulf, cabled Washington DC that the report was the result of an "over-eager" sonar man who had picked up the sounds of his own ship's screws and panicked. 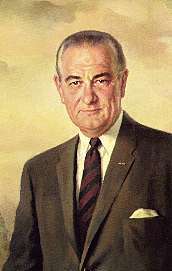 But even with this knowledge that the report was false, Lyndon Johnson went on national TV that night to announce the commencement of air strikes against North Vietnam, "retaliation" for an attack that had never occurred. President George H. W. Bush wanted a war in Iraq. Like Crassus, George Bush is motivated by money. Specifically oil money. But with the OPEC alliance failing to keep limits on oil production in the Mideast, the market was being glutted with oil pumped from underneath Iraq, which sat over roughly 1/3 of the oil reserves of the entire region. George wanted a war to stop that flow of oil, to keep prices (and profits) from falling any further than they already had. But like Roosevelt, he needed the "other side" to make the first move. Iraq had long been trying to acquire greater access to the Persian Gulf, and felt limited confined a narrow strip of land along Kuwait's northern border, which placed Iraqi interests in close proximity with hostile Iran. George Bush, who had been covertly arming Iraq during its war with Iran, sent word via April Glaspie that the United States would not intervene if Saddam Hussein grabbed a larger part of Kuwait. Saddam fell for the bait and invaded. Of course, Americans were not about to send their sons and daughters to risk their lives for petroleum products. So George Bush arranged a hoax, using a public relations firm which has grown rich on taxpayer money by being most industrious and creative liars! The PR firm concocted a monumental fraud in which the daughter of the Kuwaiti Ambassador to the United States, went on TV pretending to be a nurse, and related a horror story in which Iraqi troops looted the incubators from a Kuwaiti hospital, leaving the premature babies on the cold floor to die. The media, part of the swindle from the start, never bothered asking why the "nurse" didn't just pick the babies up and wrap them in blankets or something. Enraged by the incubator story, Americans supported operation Desert Storm, which never removed Saddam Hussein from power but which did take Kuwait's oil off of the market for almost 2 years and limited Iraq's oil exports to this very day. That our sons and daughters came home with serious and lingering medical illnesses was apparently not too great a price to pay for increased oil profits. Following the victory in Iraq, yet another war appeared to be in the offering in the mineral rich regions of Bosnia. Yet again, a hoax was used to create support for military action. The photo (right) of Fikret Alic staring through a barbed wire fence, was used to "prove" the existence of modern day "Concentration Camps". As the headline of "Belsen 92" indicates, all possible associations with the Nazi horrors were made to sell the necessity of sending yet more American troops into someone else's nation. But when German Journalists went to Trnopolje, the site of the supposed Concentration Camp. to film a documentary, they discovered that the photo was a fake! The camp at Trnopolje was not a concentration camp but a refugee center. Nor was it surrounded by barbed wire. Careful examination of the original photo revealed that the photographer had shot the photo through a broken section of fence surrounding a tool shed. It was the photographer who was on the inside, shooting out at the refugees. Once again, Americans had been hoaxed into support of actions they might otherwise not have agreed with. While several American Presidents have willingly started wars for personal purposes, perhaps no President has ever carried it to the extreme that Bill Clinton has. 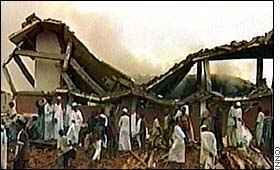 Coincident with the expected public statement of Monica Lewinsky following her testimony, Bill Clinton ordered a cruise missile attack on Sudan and Afghanistan, claiming to have had irrefutable proof that bogeyman extraordinaire (and former Afghani ally) Osama Bin Ladin was creating terrorist chemical weapons there. Examination of the photos of the debris revealed none of the expected structures one would find in a laboratory that handled lethal weapons-grade materials. 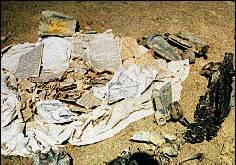 Assurances from the CIA that they had a positive soil test for biological weapons fell on their face when it was revealed that there had been no open soil anywhere near the pre-bombed facility. Sudan requested that international observers come test the remains of the factory for any signs of the nerve gas Clinton had insisted was there. None was found. The Sudanese plant was a harmless aspirin factory, and the owner has sued for damages. Later examination of the site hit in Afghanistan revealed it to be a mosque. Meanwhile, back in Kosovo, stories about genocide and atrocities were flooding the media (in time to distract from the Sudanese embarrassments), just as lurid and sensational and as it turns out often just as fictional as most of William Randolph Hearst's stories of atrocities against the Cubans. Again, the government and the media were hoaxing Americans. The above photo was shown on all the American networks, claiming to be one of Slobodan Milosovic's Migs, shot down while attacking civilians. Closer examination (click on the photo) shows it to be stenciled in English! Like Germany under Chancellor Hitler, there have been events in our nation which strike fear into the hearts of the citizens, such as the New York World Trade Tower bombing, the OK City Federal Building, and the Olympic Park bomb (nicely timed to divert the media from witnesses to the TWA 800 shoot down). 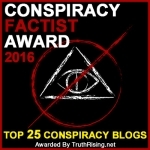 The media has been very quick to blame such events on "radicals", "subversives", "vast right wing conspiracies", and other "enemies in our midst", no different than the lies used by Cicero and Hitler. But on closer examination, such "domestic terrorist" events do not appear to be what they are made out to be. The FBI had an informant inside the World Trade Tower bombers, Emad Salam, who offered to sabotage the bomb. The FBI told him "no". The so-called "hot bed" of white separatism at Elohim City, occasional home to Tim McVeigh in the weeks prior to the OK City bombing, was founded and run by an FBI informant! And nobody has ever really explained what this second Ryder truck was doing in a secret camp half way from Elohim City to Oklahoma City two weeks before the bombing. So, here we are today. Like the Romans of Crassus' and Cicero's time, or the Germans under a newly elected Hitler, we are being warned that a dangerous enemy threatens us, implacable, invisible, omnipresent, and invulnerable as long as our government is hamstrung by that silly old Bill of Rights. Already the US has violated international law with the use of "extraordinary measures" (i.e. torture) justified by the manufactured hoaxes of ISIS and Al Qaeda. As was the case in Rome and Germany, the government continues to plead with the public for an expansion of its power and authority, to "deal with the crisis". However, as Casio watch timers are paraded before the cameras, to the stentorian tones of the talking heads' constant dire warnings, it is legitimate to question just how real the crises is, and how much is the result of political machinations by our own leaders. Are the terrorists really a threat, or just patsies with fake bombs and Casio watches, paid for by Cicero and given brown shirts to wear by Hitler? Is terrorism inside the United States really from outside, or is it a stage managed production, designed to cause Americans to believe they have no choice but to surrender the Republic and accept the totalitarian rule of a new emperor, or a new Fuhrer? Indeed, given that acts of terror undermine the very public support needed by the so-called "terrorists" to bring about change, it may be argued that there are in fact no genuine acts of terror; that they are all manufactured events to be blamed on the groups wishing to challenge the status quo. Once lost, the Romans never got their Republic back. Once lost, the Germans never got their Republic back. In both cases, the nation had to totally collapse before freedom was restored to the people. Remember that when Crassus tells you that Spartacus approaches. Remember that when thugs in the streets act in a manner clearly designed to provoke the public fear. Remember that when the Reichstag burns down. Remember that when the President lies to you about weapons of mass destruction. There are currently 1 user and 741 guests online.